· Are they quiet? · Seem shy? · Not talking like their peers? · Allow you or siblings to speak for them? · Do you wonder why? 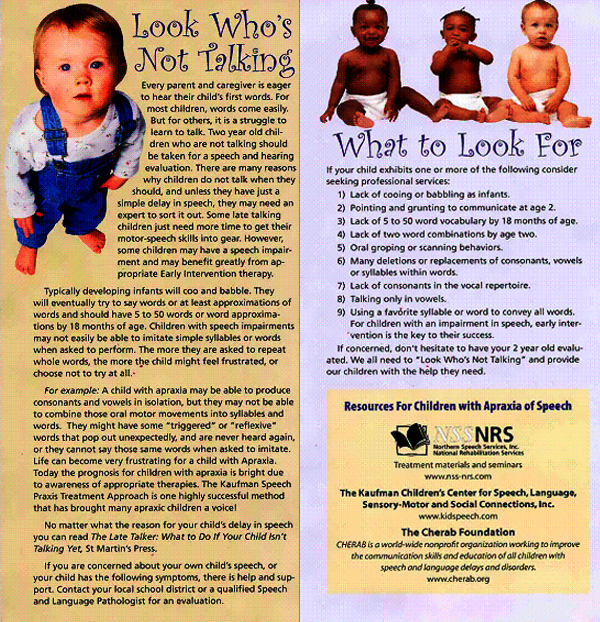 · Any loss of any language or social skills at any age. Don't wait! Seek help. I t is crucial that early intervenytion its started early. Don't matter if baby is an infant or months old. Follow your sixth sense. If something is telling you something is not right, pursue it. Don't let fear or anyone tell you to wait, or try to reassure you that nothing is wrong. We must face our fears with valor, and a positive attitude in the long run you will be doing the. right thing. Don't be discouraged!